Boise Cascade Co. v. New England Treatment Access, LLC (19-cv-10738). Boise Cascade, a large lumber, wood and paper, has utilized a graphic of a tree in a circle as a trademark since 1964, and has held federal registrations for the mark since 1981. Boise Cascade accuses NE Treatment Access of infringing this mark through sales of marijuana products utilizing a similar graphic. Boise Cascade brings counts for federal and common law trademark infringement, false designation of origin, dilution under Massachusetts law, injury to business reputation, and unfair business practices. The case is before Judge Gorton. Author dmassiplitigationPosted on April 19, 2019 Categories Complaint, Gorton, TrademarkLeave a comment on Boise Cascade Co. v. New England Treatment Access, LLC (19-cv-10738). Author dmassiplitigationPosted on April 17, 2019 Categories Complaint, Declaratory Judgment, PatentLeave a comment on Kaspersky Lab, Inc. v. Greater Boston Authentication Solutions, LLC (19-cv-10735). ACQIS, LLC v. EMC Corp. (14-cv-13560). ACQIS accused EMC of infringing eleven patents relating to consoles containing computer peripherals, such as a keyboard, mouse, display and disk drive, into which a core computer module having the CPU, memory, I/O and hard drive) can be inserted to form a complete PC. EMC filed a number of affirmative defenses, including alleging that the complaint failed to state a claim on which relief could be granted. 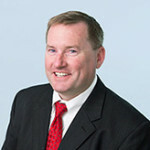 In July 2018, ACQIS moved for summary judgment on that defense, asserting that failure to state a claim is not a proper affirmative defense under the Federal Rules of Civil Procedure as well as EMC’s purported failure to identify a factual or legal basis for the defense when the parties met and conferred on the issue. Judge Burroughs denied that motion, finding that the viability of pleading failure to state a claim as an affirmative defense was, in the circumstances of the case, “purely academic” and that resolution of the question would not impact the litigation or entitle either party to judgment as a matter of law on any issue. Author dmassiplitigationPosted on April 11, 2019 April 11, 2019 Categories Burroughs, Patent, Summary JudgmentLeave a comment on ACQIS, LLC v. EMC Corp. (14-cv-13560). Oakley, Inc. v. Kim (19-cv-10651). Oakley accuses Kyong Kim and his retail business known as “It’s All About the Accessories” of selling counterfeit Oakley sunglasses. Oakley investigators visited Kim’s locations at the Northshore Mall in Peabody and the Cambridgeside Galleria (just down the street from my office in Cambridge) in February, and purchased sunglasses bearing Oakley trademarks that are asserted to be counterfeit. Oakley claims trademark counterfeiting and seeks injunctive and monetary relief. The case is before Judge Burroughs. Author dmassiplitigationPosted on April 8, 2019 Categories Burroughs, Complaint, TrademarkLeave a comment on Oakley, Inc. v. Kim (19-cv-10651). Following invalidation of independent claim 1 (and a number of other claims) of the sole asserted patent in an inter partes review, Lenovo moved for summary judgment of invalidity of the sole asserted claim of the patent. Lenovo asserted both collateral estoppel and that there was no genuine issue of fact that the claim was obvious. Judge Saris ruled that estoppel applied and granted Lenovo’s motion. The asserted patent related to symmetric multiprocessor or shared-memory multiprocessor systems. Claim 1, which was invalidated by the PTAB, recited the system in some detail; claim 11, the sole asserted claim, added that the system further comprised the microprocessors and the memory device of the system, without further limitation. Notably, claim 11 was not challenged during the IPR. Lenovo asserted that collateral estoppel should apply because Intellectual Ventures could not show that the additional limitations of claim 11 “materially alter the question of invalidity.” Noting that the Federal Circuit had determined that issue preclusion applies to an invalidity finding before the PTAB despite the different standards of proof and of claim construction between the PTAB and district court, Judge Saris determined that estoppel applies. She indicated that the claims need not be identical for estoppel to apply, merely that the issues be the same. As claim 1 had been fully adjudicated, the sole question was whether the differences between claim 1 and claim 11 alter the infringement analysis in a meaningful way – Judge Saris determined that it did not. Claim 1 included limitations on the interfaces between microprocessors and memory devices. Claim 11 merely affirmatively claimed the microprocessors and memory devices. The PTAB had determined that the prior art reference relied upon disclosed microprocessors and memory devices, meaning that the claim did not add anything to the invalidity analysis that had not been determined before the PTAB. Author dmassiplitigationPosted on April 8, 2019 Categories Estoppel, Inter Partes Review, Patent, Saris, Summary JudgmentLeave a comment on Intellectual Ventures I, LLC et al. v. Lenovo Group Ltd. et al. (16-cv-10860).